This Midwesterner’s two previous home-made albums were strange and very different. Tibbetts came on like someone stranded for years on a desert island, whose mind had drifted off and his music did likewise. He used amazing sound collages with countless guitar parts overdubbed or strange rhythm patterns that sounded like a cigar-box orchestra. 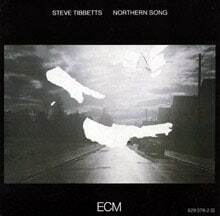 Obviously very eclectic, yet Tibbetts is well-known to a nation­wide cult, so it seems only right for him to emerge’ on the atmospheric jazz label ECM where he is joined by percussionist Marc Anderson on strictly acoustic voyages through mind-space. There is nothing in this music (with titles such as “The Big Wind,” and “Walking”) to hang any defining label on. It has overtones of classical, jazz, rock and Martian style but mostly it is just an extreme pleasure for the senses. Approach with an open mind.